Here at “The Red Hive Project”, we look at many entertaining products everyday of the week. Every now and again, some of the little entertainment becomes ‘Big Entertainment’, and so, we take it upon ourselves as a “Hive”, to let you guys know what we think…And think we do, while viewing Films, Playing Games and listening to Music. For us, seeing a film that has been confirmed for ‘Release’ before its Premiere is pretty cool – as you can imagine – though these are less often “Reviewed” or, it is just a simple case that we haven’t got around to watching it for “Review” yet. Over the past six months or so, we have had quite a selection of “Reviewing” material, including “The Teacher”, “Oblivion”, “A Good Day To Die Hard” and “Beautiful Creatures”. From these we have viewed two of the titles and not even put pen to…Sorry, fingers to QWERTY. Ha. Promising to put this right over the next 3 months of our ‘Probation’, we will bring you a lot of Film Stuff and a scent similar to that of Popcorn. We will bring you something Special, as only “The Red Hive’s The DVD Archive” can. This Is The End, certificate 15, is going to be one of the funniest films of 2013 so far…Which, when you look at the Casting for the 107 minute film, you would shake with absolute certainty. Aloft the entire Casting on This Is The End, we have some Celebrities within the minion circles, too, so it really does promise to show us some remarkable team work as James Franco, Paul Rudd, Emily Watson, SethRogen, Jonah Hill and Jason Segel come together for the ‘Apocalypse’ of the world. After we saw a peek preview of the Movie last week, it can be said that the drawn line between “Comedy” and “Vulgarity” is creeping along the line in this hilarious flick…Come on, what do expect, you have an Air Raid shelter with some of the funniest Comedy Acts in the whole of America…What could possibly go wrong? 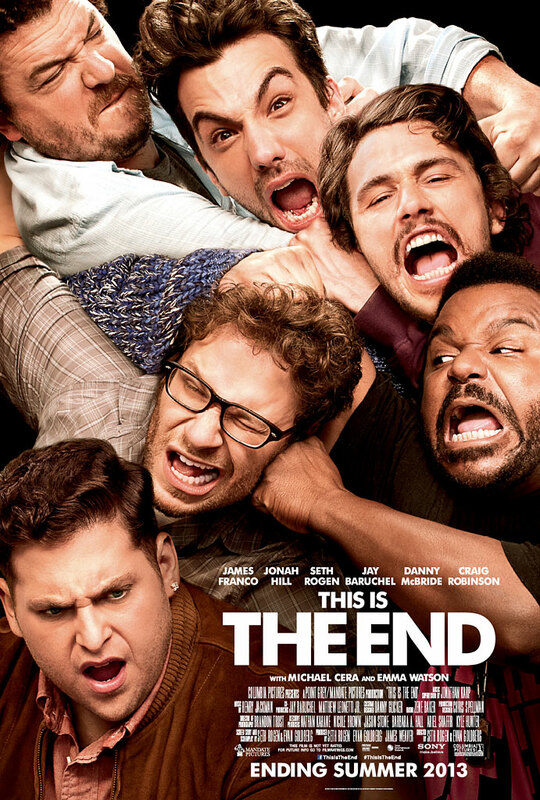 This Is The End – 2013 Release: 14th May. World War Z, the first time that we heard of it becoming an idea for a Motion Picture Production, the feeling was an almost weakened sigh as to the length of time that it would take to make such a film. It was between this time of waiting that we were entertained by the likes of Bruce Willis, Lawrence Fishburne Vin Diesel and Billy Crystal…Do you believe that? It is far from the truth that “World War Z” won’t dance around in your mind a little. It is not far from the truth that it may scar you or make you respond in such a way that is not unknown from the Spaniards and French, especially where the Direction on “Zombie” films is there’s to have! World War Z comes with a health warning, as do various other films in its Genre. With plenty of ‘Realistic CGI’ pasted across the films content, we also experience the highly detailed visualizations as seen through various Characters’ lives. Excellent film, with a great and strong dialogue that shouldn’t confuse anyone – basically, its “The Walking Dead”, only this version has an American speaking lead. 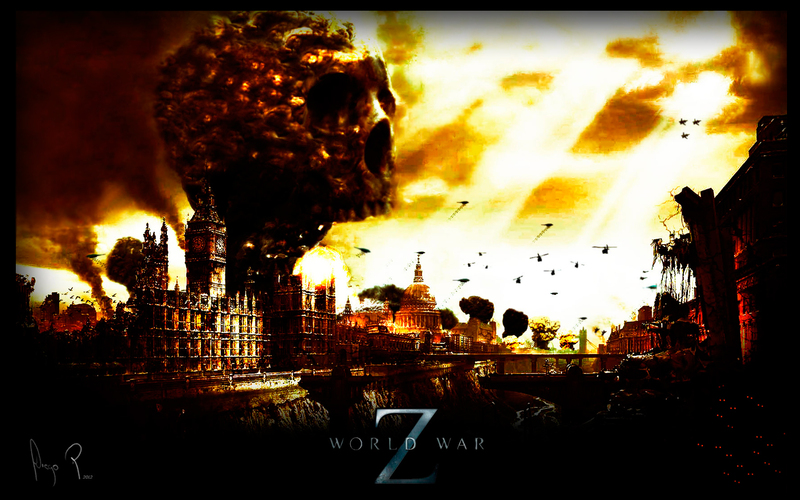 World War Z is released next month on 21st June. With a Certification of PG-13, the thought is that considering this film is filled with Apocalyptic Chaos and World’s End Drama, it may be that parents who are not sure check this trailer out first. White House Down screening from 28th June, as well as starring two of greatest actors, Channing Tatum and Jamie Foxx, is the kind of film that comes along once in a while, and one which you will put everything else to one side and make a space for. The 137 movie is presented to the audience with every factor of entertainment thought out, checked and checked again; the working storyline is neither boring in its gapped scenes, nor is it ‘Action Packed’ less than a Classic film in the making. 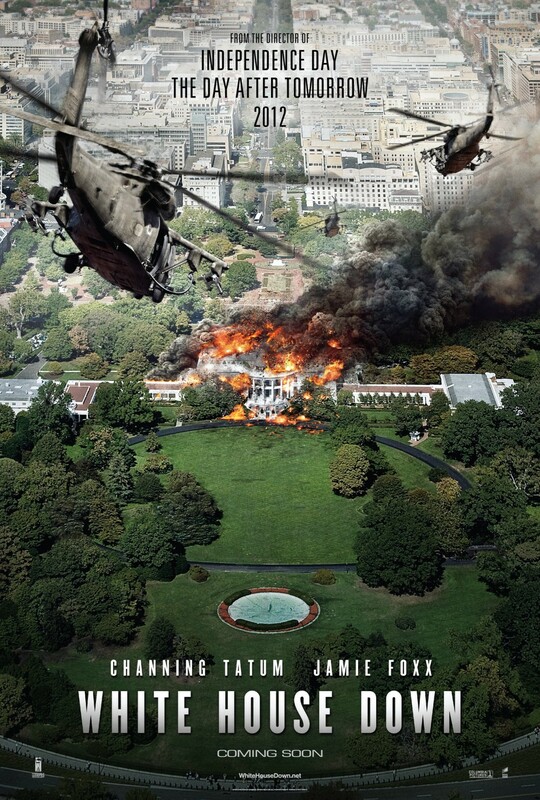 White House Down is supported by other key stage actors, too, including Jake Weber (Medium Series), James Woods (The Specialist), Peter Jacobson (House Series), all of whom give this film the low balance acting to carry the rest of the movie off. Channing, though of Comedy and Drama productions before this big action movie – G I Joe aside – has the switchable character technique off to a fine art, as his physique alone helps with the association of such a driven character as John Cale. The support in which Jamie Foxx gives to Tatum is exemplary, as is the introduction of James Woods. This is one film which we anticipate to be a blockbuster. 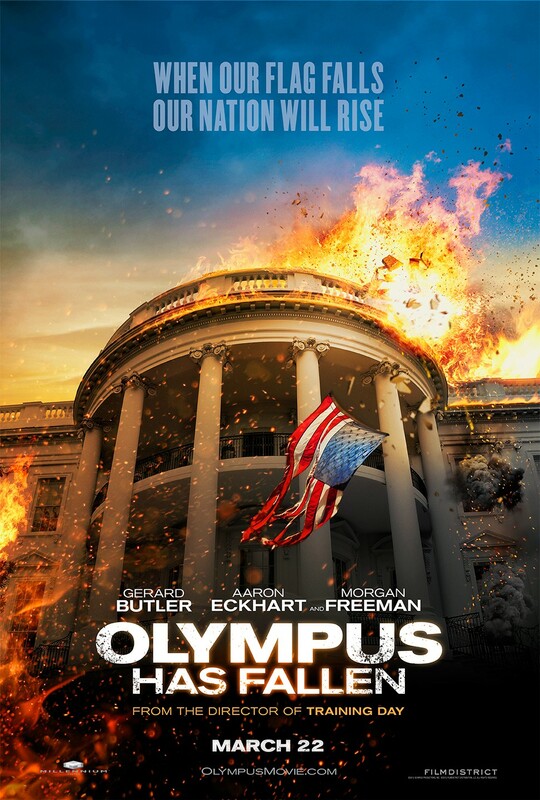 Where much can be said about “White House Down” being a truly epic film, so too can be said about its counterpart “Olympus Is Down” starring a volley of great actors, including Gerard Butler, Morgan Freeman and Aaron Eckhart. Both movies have been rumoured to bring an up-to-date war game to the big screen with unconfirmed acceptances by Bill Murray and Craig Fairbrass! The ‘unconfirmed’ acceptance on both actors was a “Slip of the tongue” at the E3 Show where TreyArch were showing off their newest ‘Shooter’ game. Olympus Is Down started in cinemas (Wednesday) 22nd March 2013. As Jason Stratham exits “The Transporter” (for now) to allow Chris Vance (Frank Martin) to take the hot seat of those prestigious cars that exceed everyone’s expectations. But, while Stratham is out of the Driving Seat from the High Octane Productions, Jason takes on the ‘Rebuild’ of another wise lethal war machine in “Hummingbird”, which is getting its premiere less than a month after “Parker”, and which received little else than a split-decision on its popularity. With “Hummingbird”, however, it would be mistaken for recompense of the previous production. The story of a broken ex-military war machine taken onto the streets as a down and out, he decides one day that he is going to sort himself out and get back on the path to recovery – but only after he finds himself defenceless in saving someones life that he cares about. 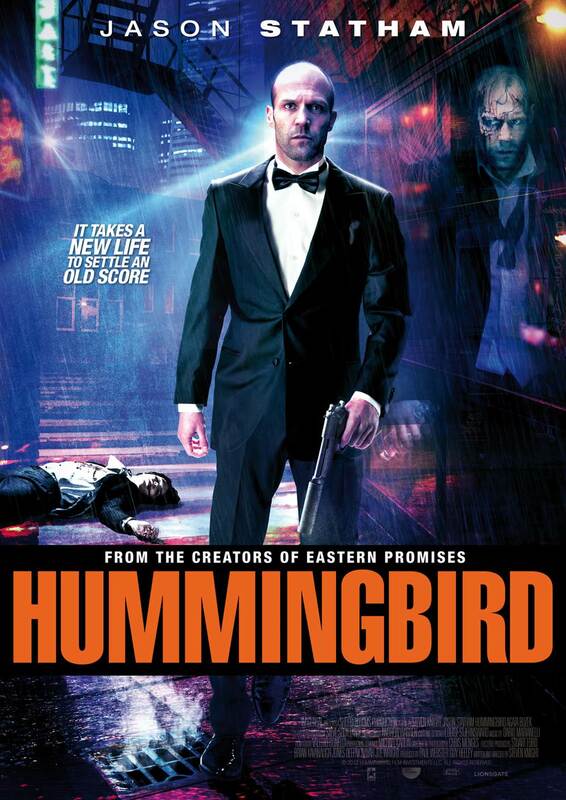 Hummingbird opens in cinemas 28th June 2013. More titles and Trailers ‘Coming Soon…’ Read Part Two on “The Red Hive’s DVD Archive”. ©™® The Red Hive/The DVD Archive. All Rights Reserved. Posted in Cinema, Coming Soon, Film Exclusives, Trailers and tagged Aaron Eckhart, Bill Murray, Channing Tatum, comedy, Comedy Apocalypse, emily watson, entertainment, Ex-Military, Gerard Butler, Hilarious Humour, hive project, Hummingbird Movie, James Franco, Jason Stratham, Morgan Freeman, Olympus Has Fallen, oscars, peek preview, This Is The End, Treyarch Games, White House Down, World War, World War Z, Zombie Apocalypse. Bookmark the permalink.